March 20, 2015, Montreal, QC—Effigis Geo-Solutions Inc., a leader in the design, development and implementation of innovative geospatial solutions, is pleased to announce the opening of an office in Toronto today. 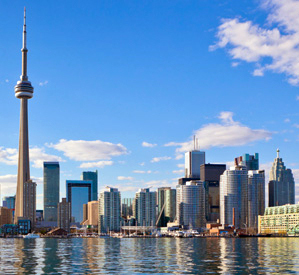 Located in the Greater Toronto Area, the new offices will from now on welcome clients and employees. With this new facility, the company, given its strong growth over the past five years, would like to be closer to its clients and partners in Ontario. “The success we have had with large-scale energy and telecommunications projects has led us to have a more obvious presence in the Greater Toronto Area,” explained Claude Levasseur, Vice-President – Geomatics. The company, which, for more than 25 years has offered innovative geospatial information solutions, has opened two new offices in the past three years and now has more than 150 employees in Ontario and Quebec. Effigis, a rapidly expanding Quebec firm established in Montreal in 1991, designs, develops and implements innovative geospatial solutions (telecommunications network monitoring, GNSS software, Earth observation services, infrastructure inventory, geological studies) by drawing upon expert resources, aimed at improving its customers’ business processes. A business partner in one of the largest satellite imaging distribution networks in the world, Effigis provides its clients with access to a wide range of Earth observation business satellites. Effigis thus serves many sectors of activity such as public administration, aeronautics, agriculture, environment, forestry, engineering consulting, mines and oil, public services and telecommunications.